Although born and bred in Rockhampton, I’m still learning more and more about the people and community every day. We have a community filled with both inspirational locals and people who have been hard done by. I enjoy telling their tales and hopefully using my position to right the wrongs. A ROCKHAMPTON father has taken on the State of Queensland and a local obstetrician on behalf of his severely disabled son Trent Alder. But for 24-year-old Trent, yesterday was a normal day. His mother Debra and father Lance fed him, changed him and helped him bath - caring for him like a baby as they have done his entire life. But for Mr and Mrs Alder, yesterday was one of the most stressful days of their lives. It was not that they had finally become overwhelmed by Trent's inability to speak or sit up without someone holding him. This week, Mr Alder's 11-year battle to prove Trent suffered brain damage at Rockhampton Hospital, entered the Supreme Court of Rockhampton. Mr Alder claims obstetrician Dr Paul Khoo caused an "acute interruption of blood supply" to Trent's brain during Mrs Alder's labour, leaving Trent with severe brain damage. Mr Alder told Justice Alfred Daubney, who is presiding over the 10-day trial, that his son had subsequently been diagnosed with cerebral palsy. The trial has become bogged down in legal rigmarole over the past two days as Mr Alder has tried to manoeuvre his way through the complexities of the court room. As he and his wife care for Trent full-time, Mr Alder said they could not afford a solicitor. But Mr Alder said he would not stop now. "I've already had 27 appearances in the Supreme Court in Brisbane," he said. The trial continues in Rockhampton today. 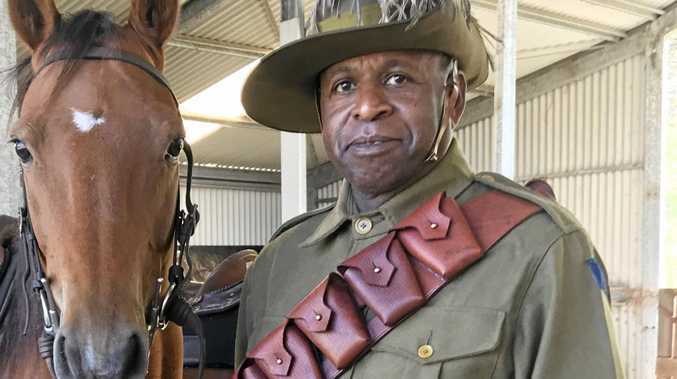 News Australian Light Horse Association to recognise role of Aboriginal troopers in World War One.